Manipulatives are great for the ESL classroom. 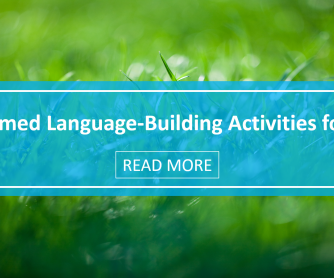 Getting your students’ bodies connected with their language learning helps them retain more information and remember it more easily. 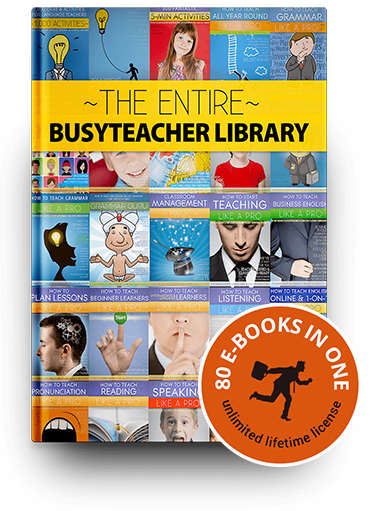 So any time you can get your students moving while they are learning will help them on their language learning journey. These simple manipulatives do just that; they get students’ bodies moving while their minds are learning. And these manipulatives could hardly be simpler. Most cost little to nothing, but the rewards they bring are priceless. So if you have tried using manipulatives to reinforce irregular verbs with your students, here are six more to try with your students. 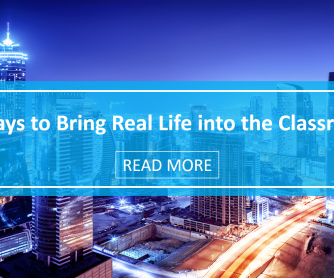 Who knew rocks could be so useful in the ESL classroom? 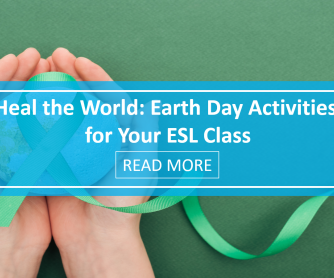 Whether they are pebbles collected from the school playground or polished stones designed for floral arrangements, stones are inexpensive and easy to use in the ESL classroom. If you are looking for a way to use spelling stones to reinforce irregular verbs, try this. Have a supply of stones labeled with the letters of the alphabet at a learning station along with a list of several irregular English verbs. In pairs, students use the stones to spell out one of the verbs on the list then write or share with their partner a sentence that uses that verb form appropriately. Then, students rearrange those stones so the same verb is in a different form (for example, a student might change the past form of the verb to the past participle). They then modify their sentence so it now uses this form of the verb. 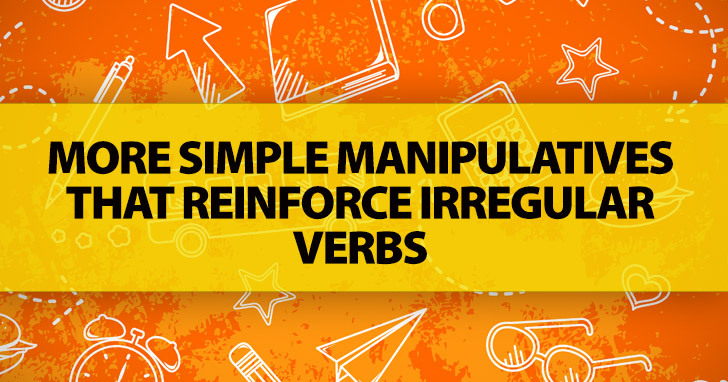 Use this practically no prep activity to help your students remember irregular forms of verbs. Give each student a pack of post-it notes and a manila folder. Everyone takes three notes from their stack without separating them and sticks them on the inside of the manila folder. They then write the three forms of an irregular verb on the three sticky notes – present, past, and past participle. Students take another three post-its, place them in their folders, and write the forms of another verb on them. Students continue until their folders are full – about eight verbs total. Then, the next time they finish an activity before the rest of the class, students can pull out their folder and test themselves on the irregular forms of the verbs they wrote on the sticky notes. This activity is particularly effective if you teach young children who are learning to write in English. For each student, get a gallon size zip top freezer plastic bag and some conditioner, hair gel, finger paint, liquid soap, or any other colored gel like material. Put enough of the gel into the bag so when the bag is on its side, the bottom is full but not bulky and still flat; then seal it, leaving it laying on the table. Have each student use the eraser side of their pencil as a writing instrument. Have students practice writing the different forms of irregular verbs in the paint or gel in the plastic bag. As they write, the gel will move out of place and leave the word impressed into the gel. Once they are finished with one set of verbs, have them squish the gel back into place and start with another set of verbs. 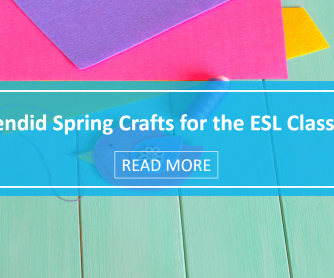 If you do any crafts with your ESL students, you probably already have a bunch of popsicle sticks sitting in your classroom craft closet. You can use these materials to help reinforce irregular verbs with your students with just a few minutes’ preparation. On each popsicle stick, write two forms of an irregular verb. On one end, write the present form. On the other end, write either the past form, the past participle, or both. Put the sticks in a cup with the present tense verb ends on top. Students choose one stick and read the verb on it before pulling it from the cup. They should then give the irregular form they think will be on the other end of the stick. (Make sure they know what form they are supposed to be giving.) Students can then pull the stick from the cup and check to see if their answer was right. This simple matching game will help students remember which verbs are irregular ones. 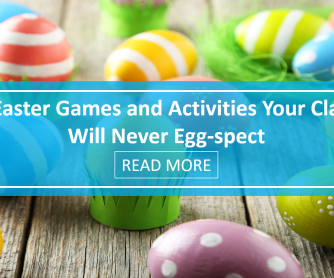 Choose a picture pair that relates to your current unit theme or the time of year you will be doing the activity– ice cream and cones, frogs and flies, presents and bows, etc. Make several copies of your picture pair. Then, cut them out and write the present tense of several verbs (both regular and irregular) on the main objects and past tense and past participle forms that go with these verbs on the other objects. Also include some false past and past participle forms on additional cutouts. Laminate if you like, put them all in a folder, and your students are ready to play. One or more students pull out the pieces and match the past and past participle forms with the present verb forms. Once they think they have all the pictures matched correctly, they should check the provided answer sheet to see if they are correct. They shuffle all the pictures together, put them back in the folder, and it is ready for the next student. I find making my own flash cards a fun and easy way to bring manipulatives into my ESL classroom. Most often I use index cards, but sometimes I design my own with a desktop publishing program and print out more elaborate cards for my students. To use these cards to review irregular verbs, draw or print the same picture on two or three cards. Write the present form on one card. Write the past form on another card. And write the past participle on the last card. Students can then use these cards to play memory or go fish. Moving is key to helping your students retain the language they are learning in your ESL class. By using these and other manipulatives in class, your students will engage their hands and their minds as they learn and use irregular verbs in English. These manipulatives can be used for other language goals as well, just modify them as you see fit. If you do, please share your successes in the comments below so we can all help our students learn better. Do you use manipulatives in your ESL class?